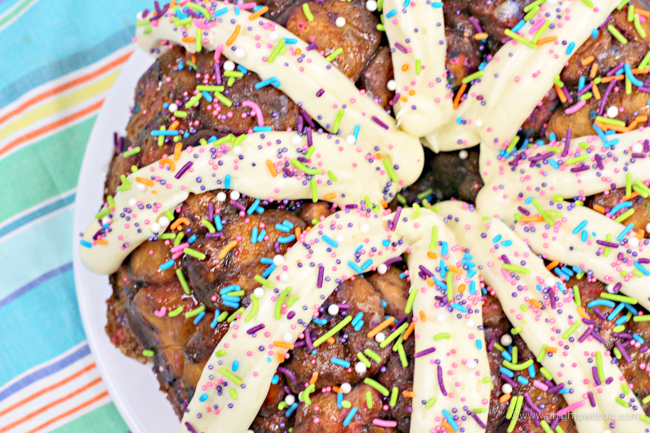 Perfect for Unicorn Breakfasts, Unicorn Parties or Unicorn Lovers in general, bake up a batch of this delicious and festive Unicorn Monkey Bread! Hi friends! 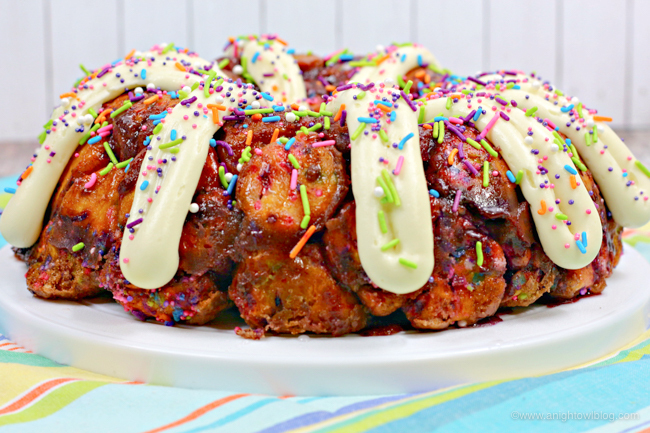 After making Unicorn Banana Bread I couldn’t get the thought out of my head to try the unicorn effect in a monkey bread recipe as well! So here we are and I must say it was worth the thought! 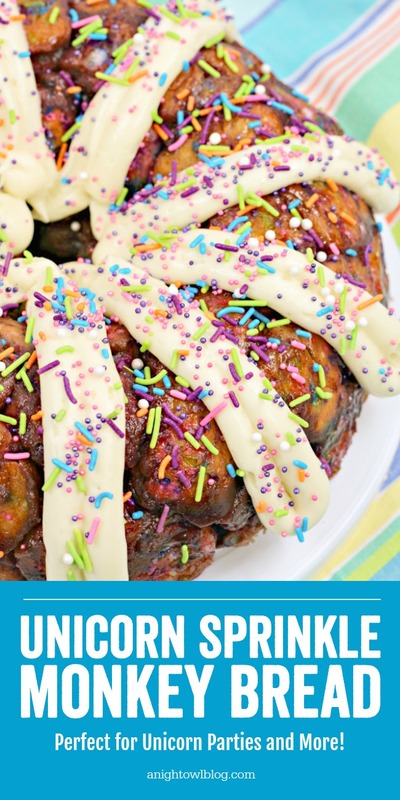 The sprinkles make this yummy monkey bread colorful and fun! Is a piping bag for the cream cheese frosting necessary? Why, no, no it’s not. 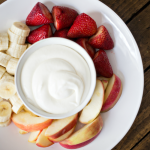 But it looks great and provides that rich cream cheese taste. If you don’t have a piping bag you could always use a ziploc bag and just cut the corner off. Bonus, no clean up! 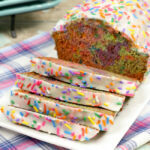 No crazy ingredients needed here, I bet you have most of these on hand already! Preheat oven to 350º. Spray your bundt pan with cooking spray heavily, and set aside. 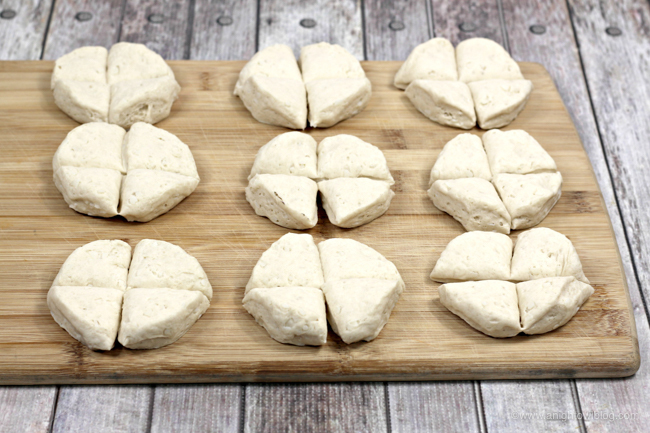 Next, open the biscuits and lay each roll out onto a cutting board and cut each biscuit into quarters. 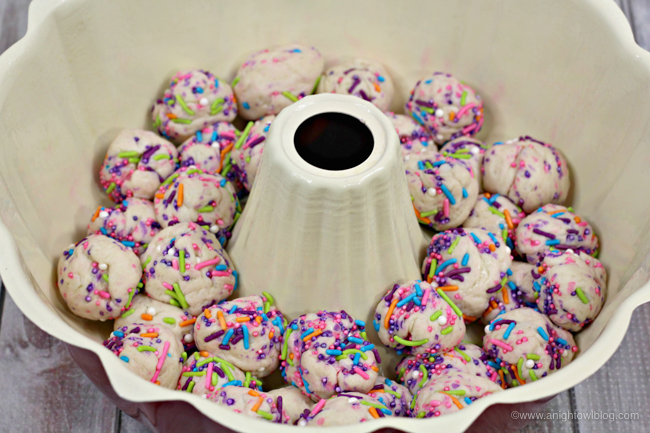 Place the biscuits and sprinkles into a large bowl and Toss together. Next, roll each biscuit quarter into a ball. Using a small sauce pan, melt the butter then add in granulated sugar and vanilla extract. Place one layer of dough balls into the bundt pan, then pour one-third of the melted butter mixture over, repeat this process until you have used all the dough and butter mixture. 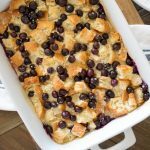 While monkey bread is baking, make the cream cheese glaze. Using a standing mixer, beat the cream cheese and powdered sugar until smooth, light and fluff then mix in the milk and vanilla until combined and smooth. Scoop cream cheese into the piping bag and set aside. 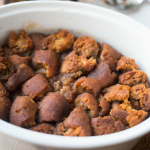 Remove monkey bread from oven and allow to cool for 10 minutes before flipping over onto a serving tray. 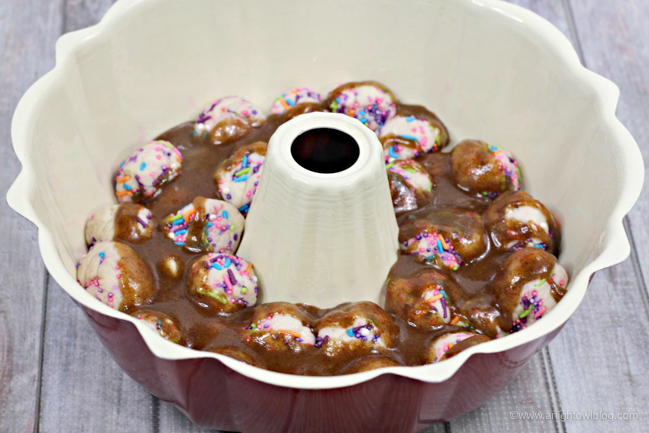 Next, pipe the cream cheese onto the monkey bread and sprinkle the remaining sprinkles all over! Piping Bag with Tips: Grab one of these for that yummy thick cream cheese frosting look! 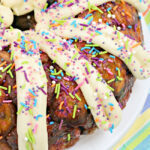 Bundt Pan: Having a bundt pan is necessary for all those yummy monkey bread recipes out there. Spray your bundt pan with cooking spray heavily, and set aside. Place one layer of dough balls into Bundt pan, then pour one-third of the melted butter mixture over. Repeat this process until you have used all the dough and butter mixture. Bake for 30 to 35 minutes or until golden brown on top. 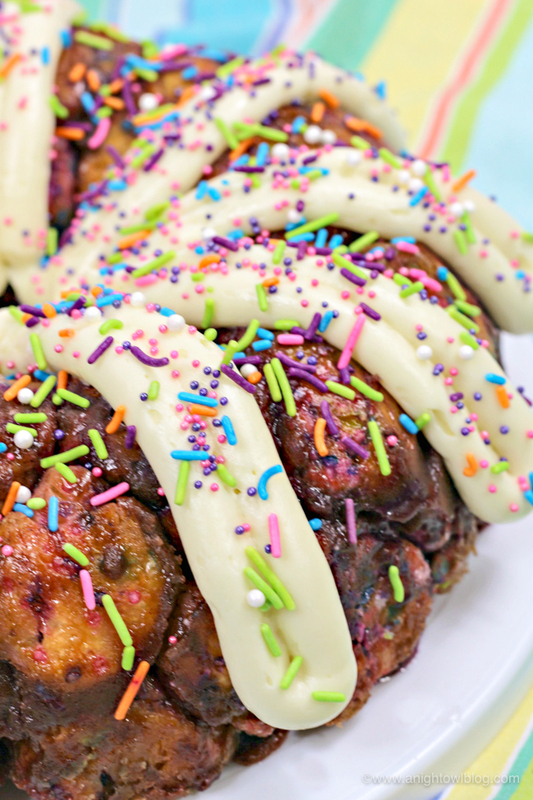 Pipe the cream cheese onto the monkey bread and sprinkle the remaining sprinkles all over!